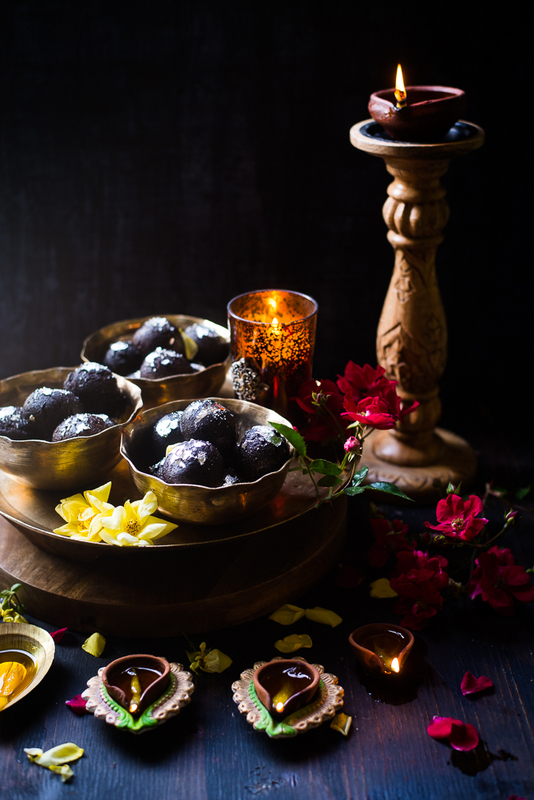 Kala Jamuns are black-colored sweet dumplings very similar to gulab jamuns or Bengali Pantua, made from Chenna, khoya and flour. Like Gulab Jamuns, Kalo Jam or Kala Jamuns are deep-fried, cardamom flavored, soaked in sugar syrup and tasted heavenly in the mouth. 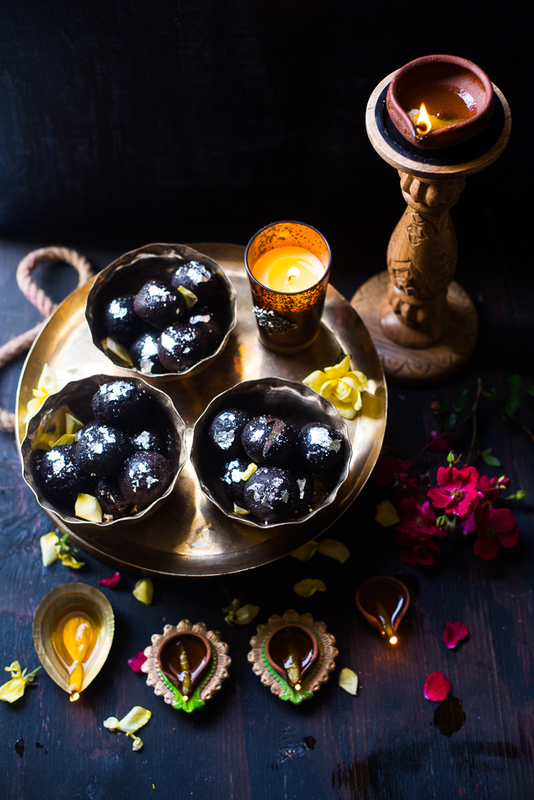 Kalo Jam is a traditional as well as very popular sweet in India and other parts of the subcontinent. 1. Add 1 cup of milk powder and 1/2 cup of heavy cream to a small bowl. Mix it well. Then micro-cook the mixture for 3 minutes. 1. Boil the milk in a big pan, stir continuously. Once the milk starts boiling, lower the flame. 4. Put the chenna iover a soft cotton cloth / or a cheese cloth. Let all the water drain away. Now put this cloth along with the chhana under cold running water for 2-3 minutes. 5. This will help to remove the smell of lemon. Hang the chhana along with the cloth on the kitchen faucet for about 45 minutes. 2. Add the crushed cardamoms, lower the gas. 1. Mash the Khoya on a flat surface until it becomes smooth. Mash the Chhana same way once it becomes very smooth and oily. 3. Add the khoya to the chhana, mix it together. Knead it well with your palm till there would be no lump in it. 5. Heat the oil, once it is ready, turn off the gas for 1 minute. Turn on again and keep the flame on its lowest settings. 6. Place the Kala Jamuns in the frying pan. 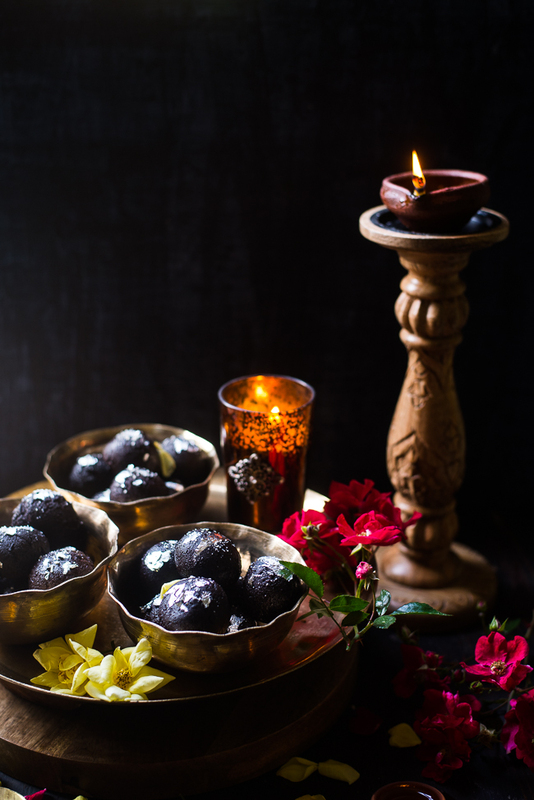 Remember Kala jamuns will expand in about one and half the size, so give them enough space to expand, and don’t overcrowd them. 7. Fry them in very low temperature till they get dark brown in color. But don't over fry them. Once they are done take it out from the oil and let it cool completely. 8. Turn on the gas. Fry the balls again on high temperature for 1 to 2 minutes ( but not more than 2 minutes ) till they will turn into the black in color. But you should remember that do not fry those Jamuns for a long time on high temperature. It will be burned, and the outer part will be hard and they will not soak the syrup. 9. Take them out from oil and put it in the hot syrup. 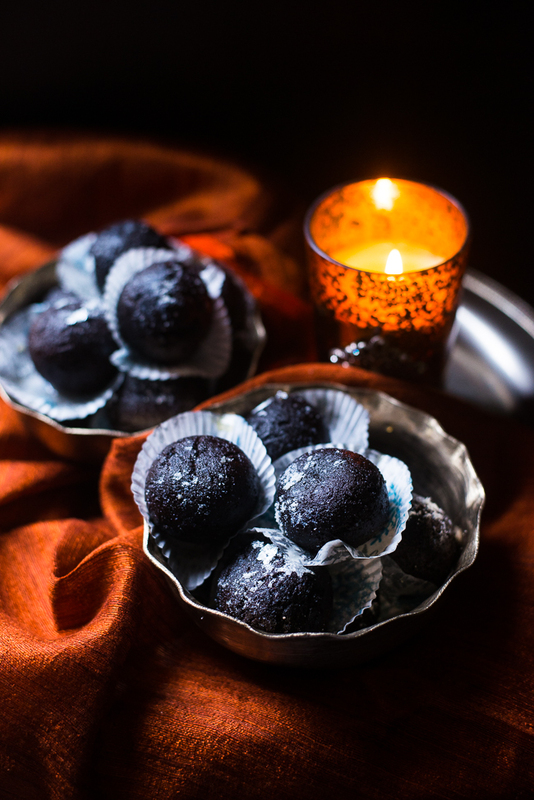 The kala jamuns should sit in the hot syrup for at least 30 to 40 minutes prior to serving. Serve hot. Oh my god. These jamuns are so divine.